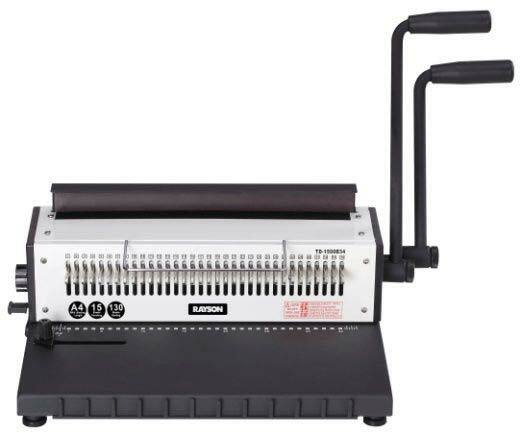 We are bracketed among the preeminent Manufacturers, Suppliers and Exporters of Wire Binder (TD-1500B34). It comes with double handles for easy operation. The Binders we make available are capable of punching 80g/70g A4 sheets. Buyers are free to place bulk orders of the Binders with us and we ensure their timely execution. One can obtain the Binders at competitive rates from us. Double handles, easy punching up to 15 sheets per time Max. Binding up to 130 sheets A4 papers Max.